The better the structure of your site, the better its search engine rankings would be. Every site has a structure of its own. It could be a streamlined and rigorous structure or a disorganized jumble. If you are conscious about how your site should look, you would invariably end up with a site that makes the search gods happy. Most webmasters overlook site structure. This is primarily because many site owners and webmasters do not know how site structure contributes to SEO. A solid website structure means an enhanced user experience. Good website design is your site’s fonts, colors, graphics, kerning, white space, and images put together. If your site appeals to users, it would appeal to the search engines as well. Algorithms of Google and other search engines use data from online information searchers to determine your site’s ranking. If your website has low dwell time and poor CTRs, its SERP performance wouldn’t be that great. If a user comes across a website with good structure, they stay longer. A proper website structure could decrease bounce rate and increase dwell time, both leading to improved rankings. A solid structure would offer your website site links. Sitelinks are basically a SERP listing format that exhibits your website’s primary page with multiple internal links indented. Sitelinks offer a significant SEO advantage to any site. They increase your site’s navigability, increase the reputation of your brand, direct users to relevant information on your site, increase clickthrough rate, etc. Getting site links is not straightforward. A site link request cannot be issued to a search engine. Generally, algorithms of search engines award sites with site link automatically. Your site’s structure determines whether your site gets that consideration. If your site structure is bad, your site would most likely not get site links. Sitelinks’ absence may cost your site increased targeted traffic, increased conversions, and higher CTR. A good structure translates to better crawling. Web crawlers, such as Googlebot, crawl a site’s structure. The objective is to index content and have them show up in their search results. Crawlers find it easy to access and index your content if your site structure is sound. Remember, crawlers do not discover things on your site automatically. A solid website structure is vital to good SEO. 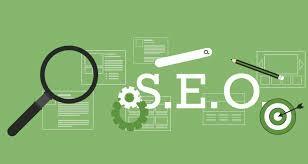 In short, your website’s organization ascertains its SEO. If your site has zero or an improper structure, you can be certain that your site would never have SEO success. Solid site structure provides your website with a strong SEO foundation that would offer you a significant amount of organic search traffic.